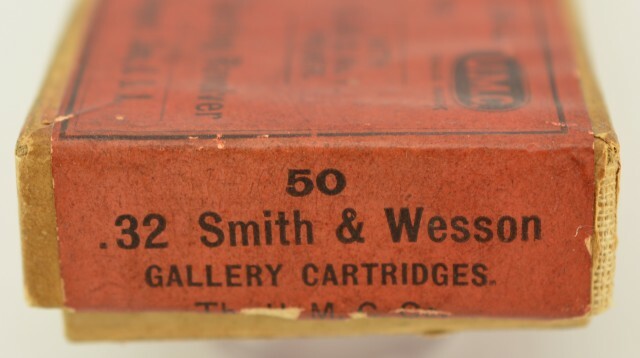 Description: This partial (33 rounds) two piece full top box remains in excellent condition with clean bright label showing a couple tiny scuffs. Part of left side label is missing. Box contains brass cases with copper primers headstamped "U.M.C. 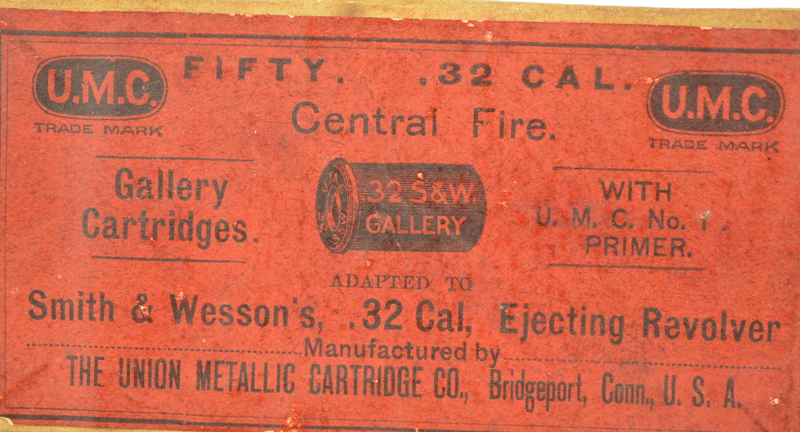 32 S&W" with flush seated wadcutter bullets. 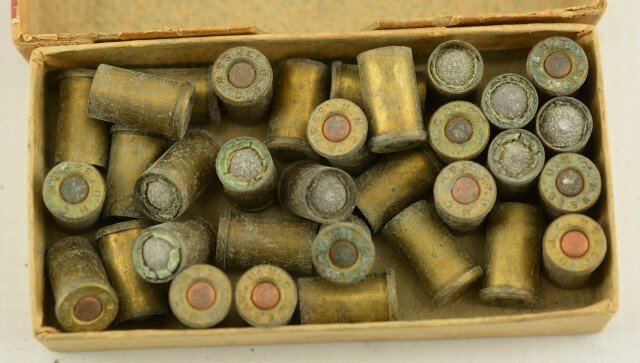 Ammo shows light discoloration and oxidation. This box dates from around 1890, it would look great displayed with a period revolver. 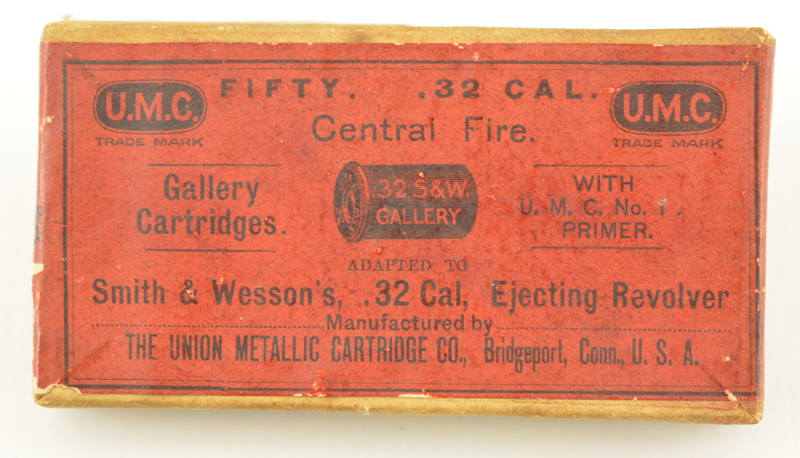 A fairly scarce UMC Gallery Box.